Graduated in Computer Science and specialized in Software Engineering, I’m passionate about technology and entrepreneurship. So far, my work experience has not only involved all the software development life cycle; project planning and management, system analysis and development, system integration, test, and deployment, but also has included a variety of different industries, namely Food Processing, Dairy processing, E-commerce, Bank, Credit cards, Digital Wallets, Acquirer, Fitness, Wellness and Healthcare. As a direct result of such diversity I've acquired a considerable knowledge of several disciplines and processes. I have extensive experience in Software Engineering and software development, both web and mobile. I’ve also been able to create great products and be a part of successful and diversified development teams. I consider myself a hard-working person and I thrive to develop products with impeccable user interface and great user experience, but I'm always focused on performance. Project planning, systems analysis, analysis of business requirements, development of IT requirements, functional and technical specification, relationship with partners, unit testing, mobile development (android), and front-end development using AngularJS, NodeJS, Git, HTML5, CSS3, Responsive Web Design, Atomic Design, SMACSS, NPM, Grunt, Bower, Stylus, Jasmine, Karma, BrowserSync, CodeStyle, Slack, Bitbucket, and Jira. Mobile Payments, E-commerce Payments, and Digital Payments projects using agile methodologies. Systems analysis, development of functional and technical specifications, preparation of technical documentation, unit and integrated testing, and back-end development using C#, Delphi, Microsoft SQL Server. ERP development using waterfall methodology. Systems analysis, development of functional and technical specifications, unit and integrated testing, assist business areas level 2 and 3, preparation of technical Page2 documentation, systems deployments, end-user training, and back-end development with Oracle Forms, Oracle Reports, Oracle Discoverer, Oracle PL/SQL, Oracle Applications, MySQL, Java, PHP, QlikView. Rede Pay is a payment platform (Digital Wallet) that processes financial transactions between the online store and their customer in a quickly and easily way. Besides that, Rede Pay has all the security and infrastructure for risk management and fraud analysis of transactions. Rede Pay is a product offered by Rede S.A. and Itaú Unibanco S.A.
Use your own resources to manage the cash flow and have more freedom to run your business. RAV enable you to anticipate your sales made by credit card directly in the POS (Point of Sale) of Rede S.A.
Rede Pay Payment Module for Opencart Open Source E-commerce Platform. PagSeguro Payment Module for Opencart Open Source E-commerce Platform. SDK PHP for help developers to integrate in an easier way an e-commerce with Rede Pay. Marjoel é um profissional altamente qualificado, pro-ativo, líder , com excelente relacionamento interpessoal. Strong programmer. Although extremely technically minded Marjoel has the ability to communicate with simple, friendly language with a great sense of humor. Knows how to work from a distance. Marjoel is a professional that realizes your tasks with high quality due to your focus and attention to details that the most times goes unnoticed. Beyond this is a great co-worker that always worked really well in a team and leverage it, making your deliveries faster and keeping quality. Leadership spirit, Creative and Quality are the words that fits him. 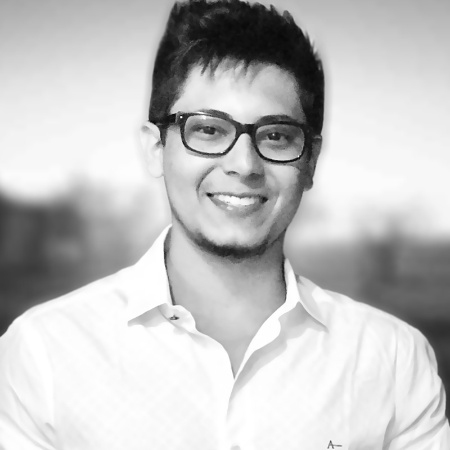 Marjoel is a great professional, during the time that we worked together it was easy to see how much he is dedicated, capable and has always performed his activities with very high quality. Marjoel is a responsible and reliable professional. Marjoel é um profissional extremamente dedicado, no tempo que trabalhamos no grupo JBS, demonstrou facilidade em aprender novas tarefas, muita dedicação naquilo que lhe foi atribuído e comprometimento na entrega dos resultados. Very smart boy, with excellent skill for systems development, specially in web platforms. 2016/2017 at Itaú Unibanco S.A.
2015/2016 at Itaú Unibanco S.A.
2014/2015 at Itaú Unibanco S.A.
Agile Framework Itaú Unibanco S.A. The Agile Mindset Itaú Unibanco S.A.
Zero-Based Budgeting Itaú Unibanco S.A.
Agile Methodologies Itaú Unibanco S.A.
Project Management Itaú Unibanco S.A.
Demand Management Itaú Unibanco S.A. Improving SQL Query Performance JBS S.A.
Time Management Vigor Foods S.A. Team Building Vigor Foods S.A.
QlikView Developer Vigor Foods S.A.
QlikView Designer Vigor Foods S.A. Team Management Vigor Foods S.A.